Large - $44.99 X-Large - $44.99 Only 7 left! 2X-Large - $44.99 Only 3 left! Halloween is the perfect time to try out bringing a bit more mystery into your life. So here’s the good news...when you dress as a Power Ranger, you get to be both completely unrecognizable and completely happy (because you’re finally getting to join the ranger crew! 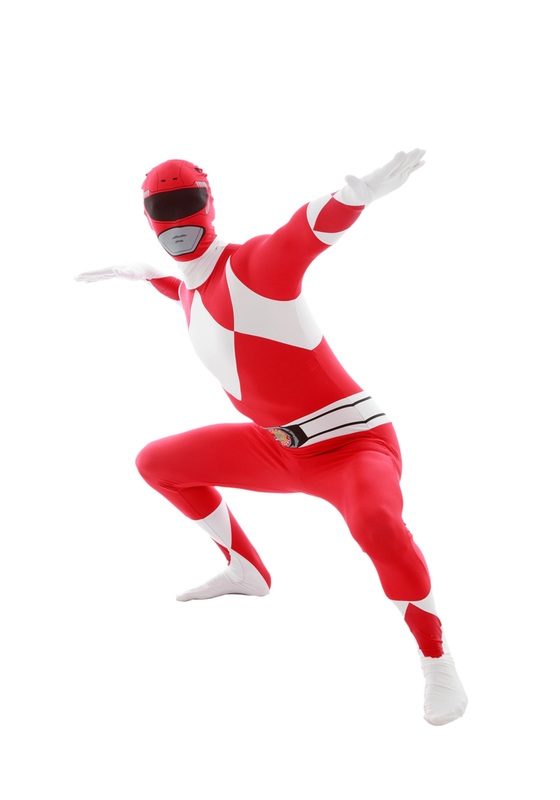 When you wear this Power Rangers: Red Ranger Morphsuit, your true identity will be totally concealed. It completely covers your entire body--hands, feet, and face. You might want to bring along a buddy, though. That back zipper could make it a challenge if you need to refuel midway through the night. Just what kind of mysterious antics you get into once you’re wearing this suit, however, is up to you. You may want to take a leadership seminar, defeat a few enemies, brush up on your martial arts training, or...say...defend the world from the evil forces of Rita Repulsa. Or maybe you just want to go to karaoke, where you can sing at the top of your lungs, do a major mic drop, and leave without a soul knowing who you are. We don’t judge. You can “morph” however it makes you happy this Halloween. Because it will make you happy--like really, really happy--to be dressed head-to-toe in the red ranger suit. How could it not? This getup is the real deal! We’re big fans of mystery over here, so we applaud your approach to Halloween. 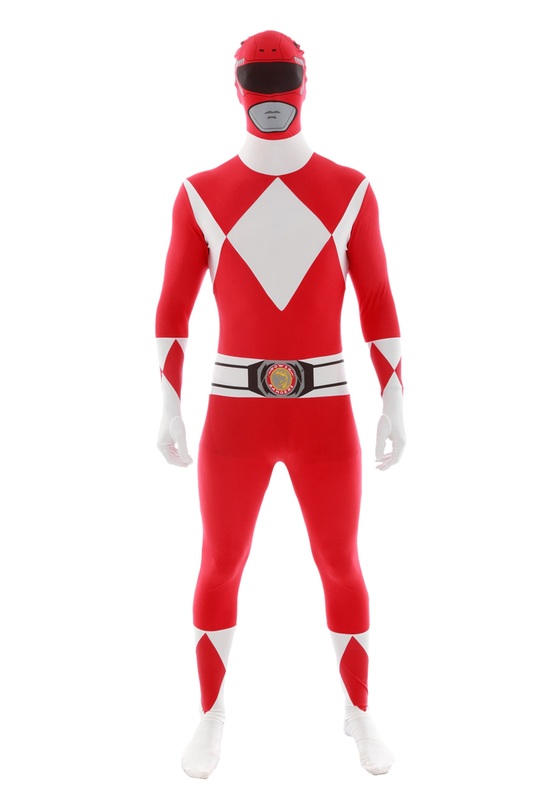 Grab a few friends and you can go as the whole (mysterious) Power Rangers group!